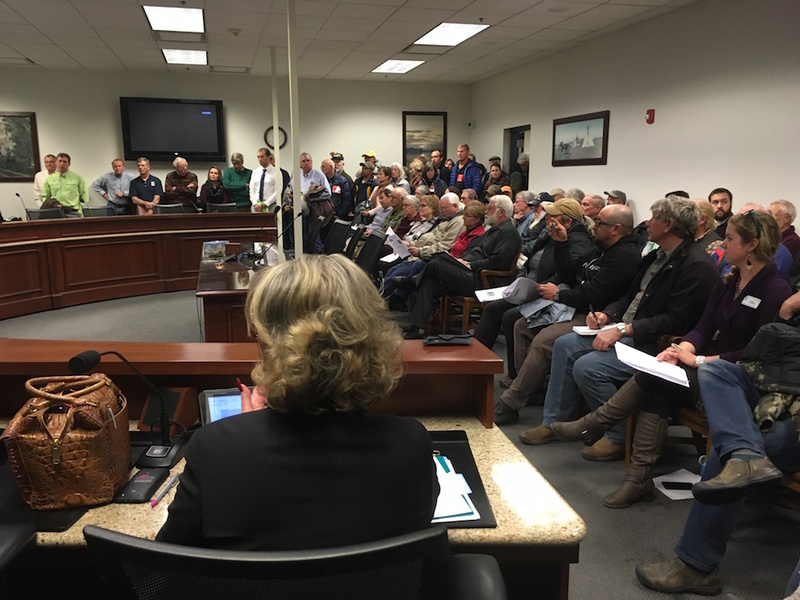 People who showed up to testify before a subcommittee of the Select Federal Natural Resource Management Committee on Wednesday were disappointed to find they would only be allowed to discuss the language of a proposed constitutional amendment. Proponents say the amendment is designed to ensure no net loss of public land or access in the event of any future transfer of federal lands to the state of Wyoming. Critics say it is a “red herring” that encourages an eventual effort to acquire federal lands for the state. Regardless, the subcommittee chairman Rep. Tim Stubson (R, HD-56, Casper) opened Wednesday’s meeting by saying the measure had been approved for the 2017 Legislature at a Nov. 9 meeting in Riverton. The bill is a resolution that would put the constitutional amendment question before voters. News that no comment would be taken on the merit of the constitutional amendment itself caught some opponents by surprise. Subcommittee members said their intent had been clear and today’s meeting was still about receiving more public input. The latest hearing follows a declaration by Gov. Matt Mead to the Casper Star Tribune that Wyoming doesn’t have the legal authority or resources to effect a transfer of federal lands. Transfer advocates would see some portion of 30 million acres of U.S Forest Service and Bureau of Land Management property ceded to the state or placed under state management. 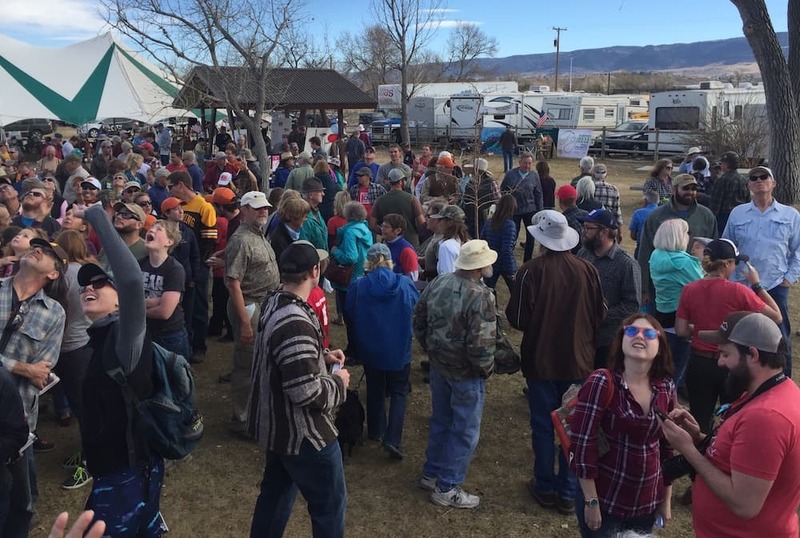 As Jessi Johnson, the Public Lands Coordinator for the Wyoming Wildlife Federation, understood it, in Riverton the Select Federal Natural Resource Committee had voted to form a subcommittee to take more public comment and further consider the issue. She thought it was an effort at extending public input following two and a half hours of public testimony in opposition to the amendment in Riverton. A press release from her group Dec. 12 asked members to show up and testify at the subcommittee meeting, and to email committee members and tell them to “vote no” on the amendment. But according to the subcommittee, that committee vote happened in Riverton, where the amendment was approved for sponsorship in the Legislature by a vote of five to one. Rep. JoAnn Dayton (D, HD-17, Rock Springs) was the dissenting vote. Johnson said most members of the public who were present in Riverton shared her understanding of the vote. “It took everyone by surprise to have them commandeer [the Dec. 14 meeting] and have it be on the language only,” she said. The language of the vote in Riverton won’t be public record until after the minutes from that meeting are approved and made public, something which has not happened yet, according to the Legislative Services Office. Another opponent, Steff Kessler with the Wyoming Outdoor Council, said she thought the committee had voted to continue public discussion, not approve the amendment. However other opponents of the constitutional amendment said they were aware how the public comment today would work. “It was implied they were going to try and keep this discussion to the language,” said Evan Reimondo, Environmental Stewardship Coordinator with NOLS. However, he said, he was also aware of the confusion over what was voted on in Riverton, and said it’s still unclear whether the amendment has been introduced to the Legislature. Representatives from the Wyoming chapter of Trout Unlimited said they had received word from their legal counsel that testimony would be about the amendment’s language, not its introduction, and they informed their members who planned to attend to testify accordingly. Stubson said the vote in Riverton was to approve the bill for introduction. After it passed that vote, the committee then decided that further work on the language of the bill should be done, and assigned the subcommittee to have another hearing. “I thought it was pretty clear what the intent was, but in a public meeting that’s not always the case,” he said. The reason the subcommittee was created was to work on the bill’s language publicly, and thus garner more public input, he said. “We wanted public comment,” he said. But for the most recent meeting, the committee had only allowed the subcommittee to receive comment on the language. While civility reigned, the atmosphere of the hearing was often tense. A crowd that was almost wholly opposed to the amendment filled the seats and wrapped around the sides of the room, almost encircling the three-member committee. After Stubson opened the meeting by saying the amendment had been introduced and the goal today was to discuss its language, Sen. Larry Hicks (R, SD-11, Baggs), a long-time proponent of more state control of federal lands, thanked the public for attending. One early testifier was Casey Quinn with the Powder River Basin Resource Council. “We don’t support any of the language because we don’t support the amendment,” he said. The crowd broke out into applause, shouts and whistles. Following Quinn, many people began their testimony by saying they opposed the amendment completely, but if testifying on the bill’s language was the only way to move forward then they would do so. Keeping to the subcommittee’s rules, at least one person testified that the language should be changed to read that if federal lands were offered to the state, the state should refuse to accept them — a cheeky rejection of the amendment’s intent that was also met with applause. Over four hours of deliberation and public testimony, progress on the amendment’s language was slowly made, but tensions over process continued to pop up throughout the meeting. “I am not going to offer comments to improve this… because you guys are way too far in front of this to make it meaningful,” said Nick Dobric with the Theodore Roosevelt Conservation Partnership. He felt it was problematic that the bill had originally been unveiled to the public only one week before the Riverton meeting. Stubson defended the process to Dobric. The amendment could have been brought five weeks from now, right at the deadline for introduction of bills to the session, he said. “It was given a chance to be discussed [in Riverton], and it’s given a chance to be discussed here,” he said. Changes to the language will now be voted on by the full Federal Natural Resources Committee by email. The committee will either approve the new language written by the subcommittee or reject it and go back to the original language approved in Riverton. This story was corrected to reflect comments by Trout Unlimited, not Duck Unlimited — Ed. Thank you, Andrew, for this clear and thorough report. It’s essential for the citizens to understand what is happening and what is at stake. Looking forward to your reporting during the session. Thank you for the very clear and useful article, including the recent history of this legislation. Mr. Graham helps us citizens by providing details about the dynamic and the participants in the meeting. This excellent reporting is crucial to holding our legislators accountable to all of the public. 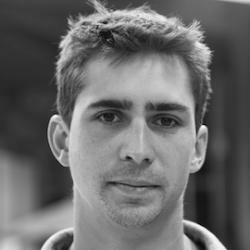 Andrew; thanks for such a good job covering this. It might well be the most important issue in Wy. The unanswered question is how will Wy. Pay for this land transfer. Rep. Stubson & Senator Hicks need to explain this in specific detail to the public,,, before the vote. Thanks again for the good work, Jim Roscoe , Boulder Wy.